Two years ago, Netflix UK was a K-drama wasteland. I can’t tell you how happy it makes me to log in and see alllll this in front of me. Haha I know right? There’s no one I would rather eat sympathy ice-cream with. Park Seo Joon’s swooniest character will always be Yoon Dong Ha from Witch’s Romance. Or maybe Tortured Guy with Eyeliner in the Bang Yong Guk MV. That was the swooniest noona romance. Ever. Also, what Bang Yong Guk MV? I must be missing something. https://www.youtube.com/watch?v=Z2ae5qRWPCg Hello and welcome to the I Hate You But I Love You But I Love Eyeliner More show! To be honest he is more disturbing than swoony in this MV. But the eyeliner and the noble sacrifice just gets me what can I say. Um… I don’t really mind disturbing. On my screen of course. Not in real life. Wow he was a talented kisser even way back in 2011! Thank you! I love guyliner. And Bang Yong Guk. And Bang Yong Guk with red hair. The song is pretty cool, but I’ll have to rewatch it to catch the full story. This drama would be sooo good if that “Polar Bear” didn’t exist. Ah, so true! It’s pretty amazing that Dong Ha managed to stay so swoony even in the mid-section when the drama forgot its genre and pretended to be a melo. Witch’s romance. I loved his character. Actually I loved the female lead too. It’s not? Oh no, sorry to get your hopes up! Usually I’m here in the UK wishing we got the same shows as the US. You should consider signing up for DramaFever or Viki so you will have access to more kdramas and other foreign programming. If I remember correctly you mentioned that you only have Netflix. Kbs just posted it on their YouTube channel recently. What’s the opposite of a drama slump? A drama high? When you’re watching four currently-airing and two completed dramas and they’re ALL great in different ways? Is sleep really that important? After years of years of investigation (in the name of science, of course) I’ve come to the conclusion that no, sleep is not THAT important, really. It’s fun! But I would recommend watching just the cannon and not the filler. You can look up the canon lists online. My kids love it. That’s awesome! A drama slump can be rough. I’m in a weird place right now in that I don’t have any dramas airing on the same day. At least none that I love. I have a feeling that June is going to be a bit rough for me, but I will hopefully have Mis Hammurabi and Why Secretary Kim to carry me through. Don’t go sucking you two! I’ve checked out their videos before, but I had forgotten about the channel. Thanks for the heads up! Waah Greasy Melo! I love that the male lead chooses the other male lead over the female lead, and not in a noble idiot way. 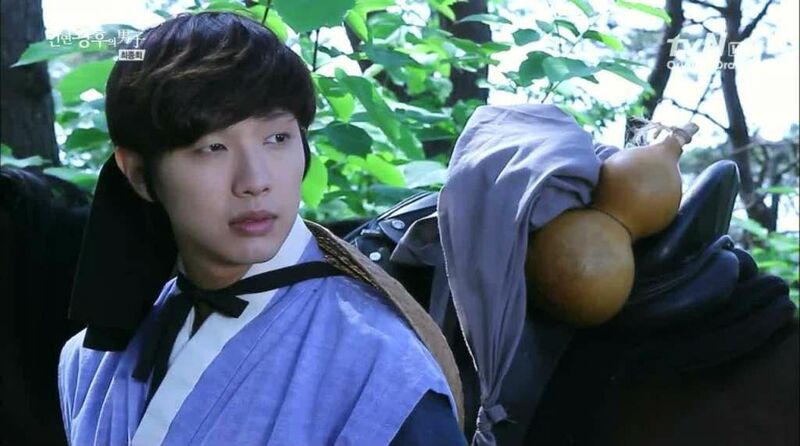 Poong just loves Chil Sung as much as he loves Sae Woo and it’s beautiful! I\’m kind of fascinated by the furore over who is the main lead of Greasy Melo. I know 1st/2nd lead is an unwritten rule of Kdrama, but if we hold onto the rules too tightly we lose the chance for innovation, right? Who says there can\’t be two male or female leads? Who says the second lead can\’t get the girl/guy? While rare, I have watched several dramas where the second lead ended up with the h. Last one I watched with this storyline was “The King in Love”/”The King Loves”. who says both guys can’t just ditch the girl and love each other? I would actually watch that. hmm. Currently Watching: Witch’s Romance, Pretty Noona Who Buys Me Food, I Need Romance 3. This is a total coincidence and definitely not me trying to convince myself that 32 is not that old. 32 is not old! We are still young! I may go to bed at 8pm, my joints may be stiff and I seem to be finding random gray hairs every day, but dammit I am young! We are still young. I really don’t understand my fellow beanies with their thinking that 30s is old. 40s is old. Granted, when I was 20 I though that 30 was ancient. Definitely not old! End of story. Haha you guys are right I know! 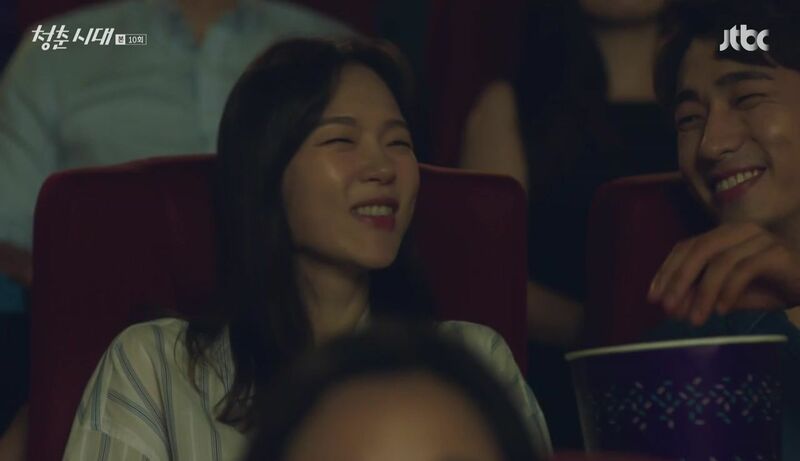 I’ve just spent way too much time watching coming of age dramas with my 22 year old sister I think 😉 My current slate of shows is revealing that noonas are way more fun and interesting than college girls! Wait, what? 30 isn’t old… Didn’t a very wise person once wish greetings to “kids from 1 to 92”? Some of us came here to discuss JBL. K-Drama Law 458: If your true love invites you on an all day date, DO NOT GO. They will smile a sad smile as the sun sets and you will NEVER see them again (or at least not until like Episode 15). 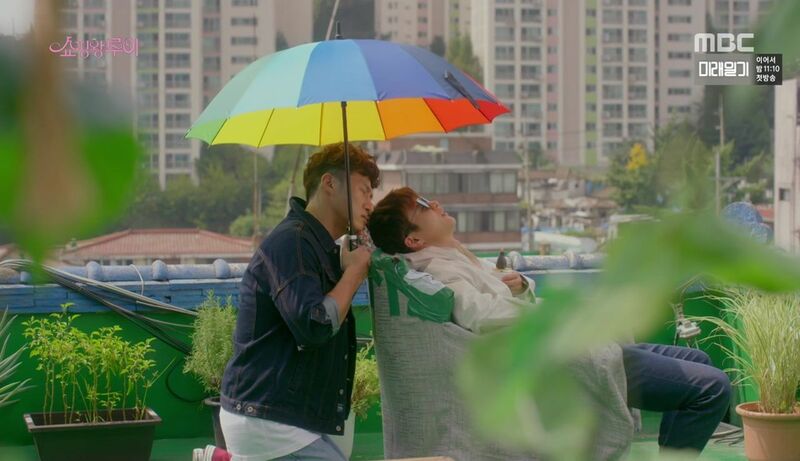 K-Drama Law 7312: Everyone, no matter how poor, lives in a rooftop apartment with a beautiful view (and/or has a secret passageway to a gorgeous rooftop hideout strung with fairy lights). Why is a short-haired guy in a sageuk so inexplicably hot? Would I feel this way about anyone else, or is it simply a Kim Boong Do problem? I’m pretty sure it’s just Kim Boong-do’s effect. She’s one of my favorite heroines and one of the first heroines I saw in kdramas who had a legit backbone throughout the whole series. You’ll love her. Great news! That rare breed of heroine with a backbone is my favourite kind. I loved this! I was three from finishing and got distracted by a) angst and b) Weightlifting Fairy…I should really finish. But, she’s awesome! She is a great heroine and one of the best imo. Never turned into damsel-in-distress and knew how to handle outrageous situation. I find it funny and a bit annoying when they do that. Especially in subtitles. We can hear the name, and it’s not what you wrote. Also, if I am multicultural enough to watch a show with subtitles, I am multicultural enough to get that in some countries the family name comes 1st not last. However, there was once it really cracked me up. Father is Strange. Lee Joon was calling his friend in the States to have him look up info on his dad. Naturally he and his friend were speaking English, but the scene was still subbed. The friend says the name American style, last name last, and the English subs flipped it for me, writing it Korean style with the last name first. Haha that’s fantastic. I wonder if the name switching is somehow automated then? You would think it couldn’t be human error if a Korean speaker is doing the subtitling. What an effort spent on pointlessly confusing people! Laughing at this! I hate it when they do that! Watched Doctor Stranger against my better judgement because Lee Jong Suk. It’s the perfect drama for a drinking game – take a shot any time there’s medical malpractice, you’ll be wasted every episode. Eep! That sounds terrible. I forgot what ep I dropped it at, but I’ve actually been thinking about re-watching flops just to torture myself/for funsies, and this is one of the shows I had in mind. Haha. 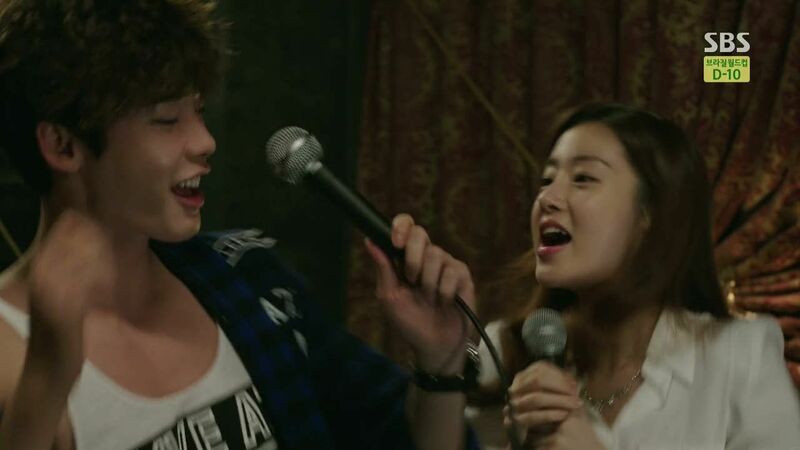 Kang Sora and Lee Jong-seok were so cute together, though. If you go in with low expectations then it would stand up to a rewatch I think! Just don’t expect logic to make an appearance and you should be able to enjoy the cuteness. Okay, great advice! Lawl. I’ll definitely keep this in mind when I jump into this mess. Welcome to our world, friend! !